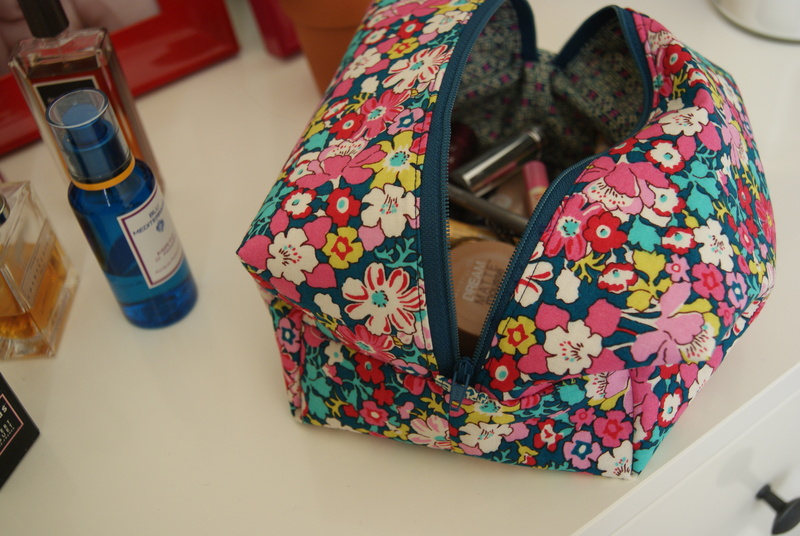 But I reeeally needed a new makeup bag. The old one is ca Christmas 2004 and is filthy. And we are going on vacation in two weeks. 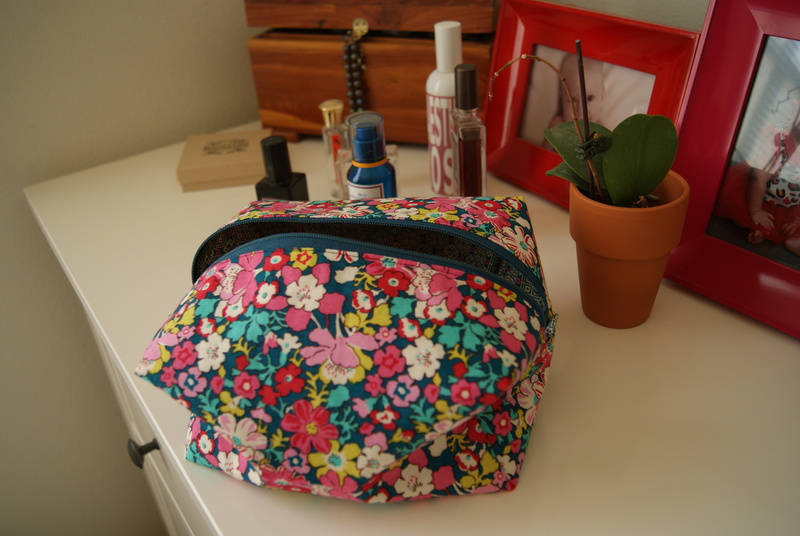 I bought a zipper, found the No Guts Boxie Pouch tutorial on Craftsy, found the Liberty I had saved for just this purpose, and dove in. Not so bad, for my first try! I can’t think of anything that I wouldn’t want made out of that print though. If you decide to try this tutorial, I’d suggest using a longer tab length than recommended in the pattern (she calls for 3”, I think 4” might be better). I used medium-weight fusible interfacing, where the pattern calls for lightweight, and I think the bag could be even stiffer. I’d go heavyweight next time. I did not have to use a zipper foot, my regular presser foot worked fine. Finally, follow the photos in the tutorial carefully. I typically rely heavily on written instructions (a word person) and the words led me astray at least twice. 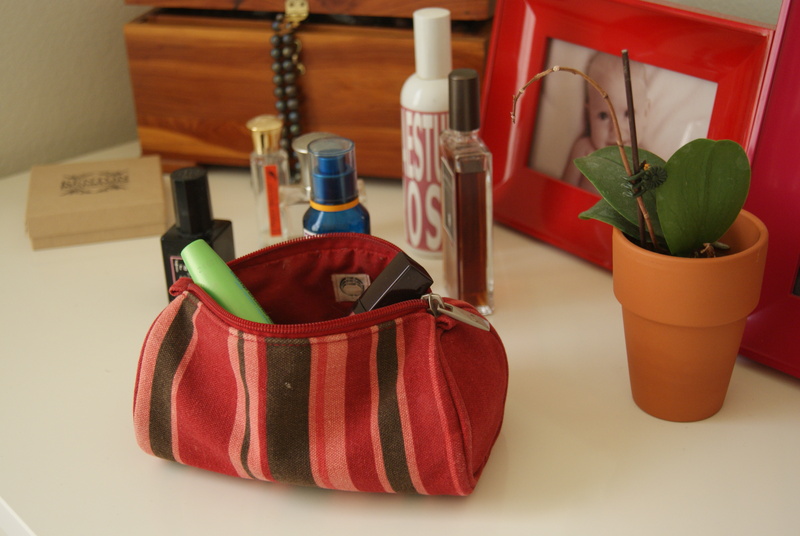 HINT: don’t sew the sides of the pouch when you sew the bottom! The instructions aren’t clear, but JUST SEW THE BOTTOM. I think that when my fabric budget resets hahaha I will be making an order from Zipit. I’m seeing many more zip pouches in my future. I love it! Super practical and way better than my first zippy. Nice work! Pretty bag! You did a fantastic job. I used to be terrified of zippers. I thought I could never do it. But after a few attempts I found out it wasn’t so difficult. And I did as you plan and ordered a bunch of zippers from Zipit (they have great selection). It looks lovely! Pretty fabric and awesome pouch. You will enjoy I am sure of that. Yep, can’t think of anything not to want in that print either! It’s a favorite that I missed while being frugal. Blech. Congrats on conquering your zipper fear! Well done Laura!! It looks so lovely in the Liberty. I too hope to I come my fear of zips…….one day! super fantastic!! I am personally terrified of zippers! I really love your bag, I was looking for a pattern such as this one! Thanks! First of all – the shape of that bag is awesome!!!! And I totally agree – what could NOT be made from that print – a skirt, a purse, a bag, a QUILT!!!! Great job, looks so pretty. i signed up for that class and ordered the fabric package, too, just to get some liberty. =) thanks for the tips. when my current quilts are done, it’s on my list! The bag is adorable! Thanks for the tip, I have been hesitating to make a bag and now see what a delight a finish can be! Love this, the shape is perfect…might be another one for me to try! 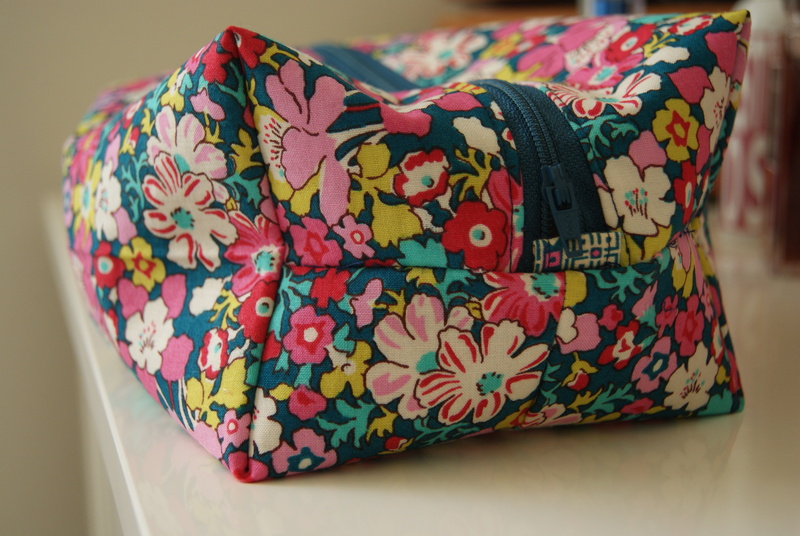 Is the lining a Liberty fabric too? Now that is one sweet bag, Laura! Nice size and who doesn’t love that fabric? I’ve been visiting our Blog Hop buddies and have seen you all over the place! Just wanted to thank you for being such a great support to the whole group! It looks fantastic! Congratulations on your first zippy pouch!